Halloween is right around the corner. So you know what that means, right? Craft time! 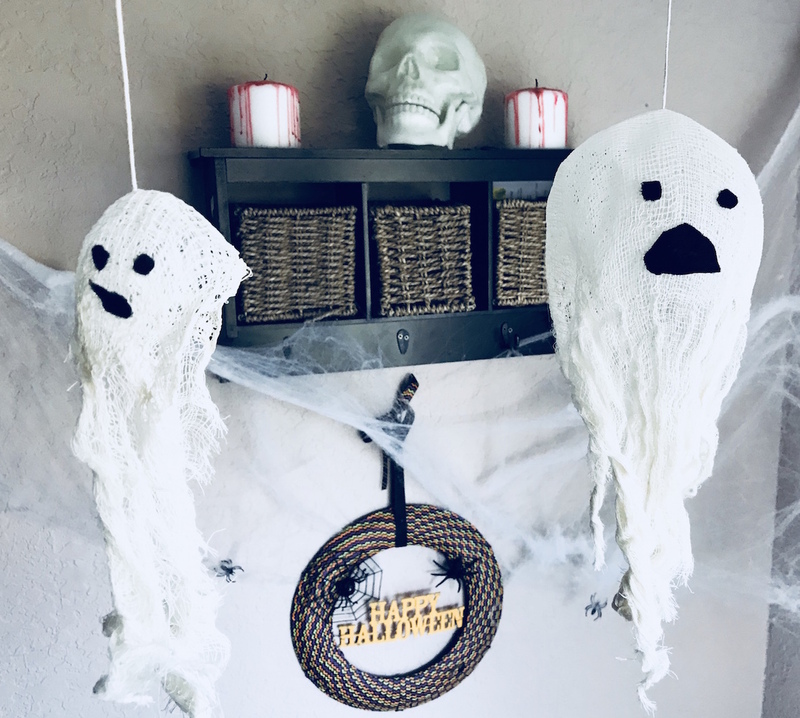 There are tons of fun (and easy) Halloween craft ideas you can create that will get your house in the spooky spirit- even if you don’t consider yourself crafty. If you’ve been struggling to come up with ideas, we’ve got you covered. 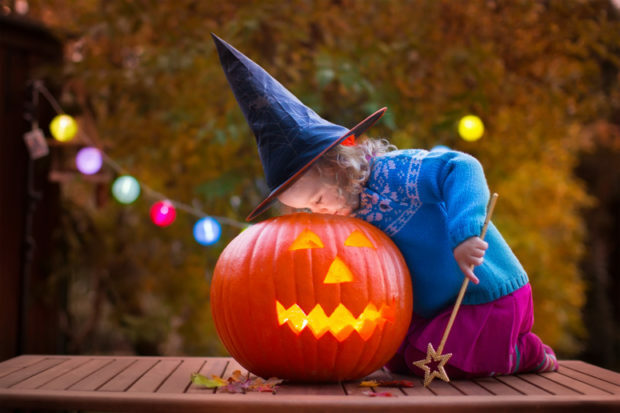 This post is going to give you five super simple crafts you can create right in time for the trick-or-treaters to arrive. How about a display of “drac-o-lanterns” on your doorstep or entryway? All you need for this is a handful of small pumpkins or gourds. A few sets of plastic vampire teeth, and a handful of pins or thumbtacks. Carve space enough out of the mini pumpkins to fit the teeth and push in the thumbtacks for scary eye colors. 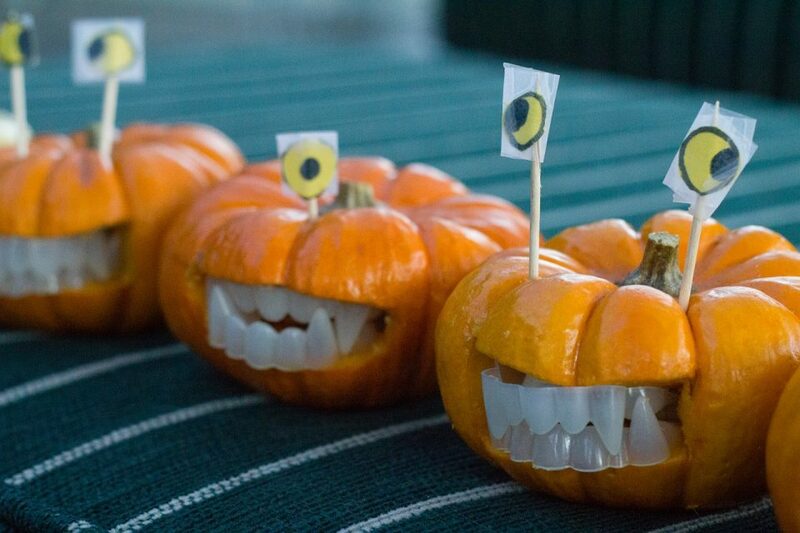 These are an enjoyable way inject some frightening humor (and saves you from having to carve teeth on your own!). And you can really make an awesome display using a bunch grouped together. Light the way for trick-or-treaters with these mason jar lanterns. You can put them along your walkway or driveway or even in the window to give a bit of atmosphere. These are simple to make. Grab a bunch of mason jars, glass jars of various sizes are fine. Then take colored tissue paper, orange, black, purple, and white are good to start. Cut strips of the tissue paper and using crafters glue stick these to the inside of the jar. On the outside of the jar, you can use black construction paper or stickers to make faces. Pop tea lights in them, and you’re good to go. 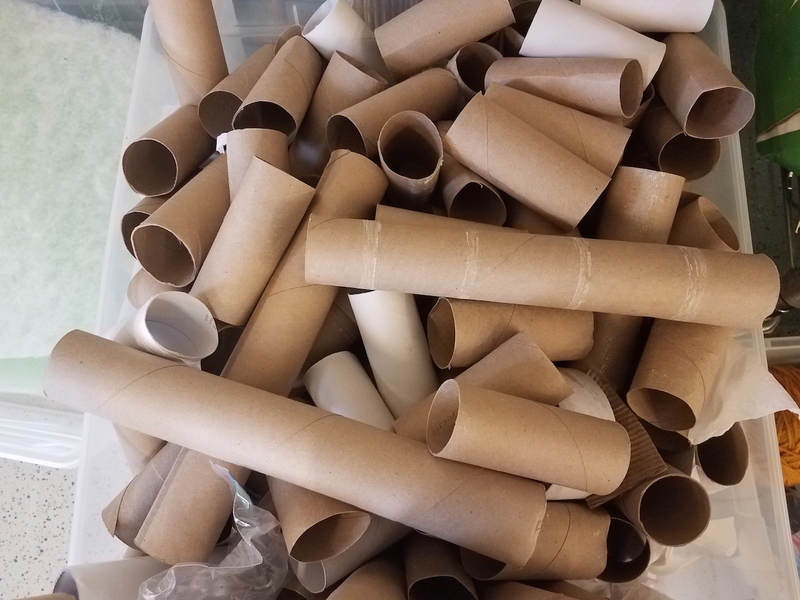 Look in your recycle bin and you’ll probably find a few cardboard tubes from your paper towel and toilet paper. If not, start saving these now because they are perfect for making adorable cardboard mummies. It doesn’t get easier than these. Take your cardboard tubes (cut the paper towel tubes in half) and wrap them in black construction paper then glue the ends. You can also have the kids paint them black too. Next, grab some gauze and wrap it around the tube leaving a space for eyes. You can paint on the eyes or use googly eyes or stickers too. These are a bit too adorable to be scary but great if you’ve got little ones around. Photo Credit: Emily Duty. All rights reserved. Halloween can’t be official without ghosts, right? You can hang these spooky cheesecloth ghosts all over your house and in trees outside too. Plus, they are easy to make. First, blow up a bunch of balloons in various sizes. These will be the outlines of your ghosts. Next, dip pieces of cheesecloth in fabric stiffener. Then drape the cheesecloth over each balloon and set for about 10-15 minutes. Once dry, pop the balloon and add eyes. You can also take some scissors to rough up the edges. If you’re going to hang them, string some twine or fishing line through them and start hanging them around the house. These are totally creepy, in a good way! 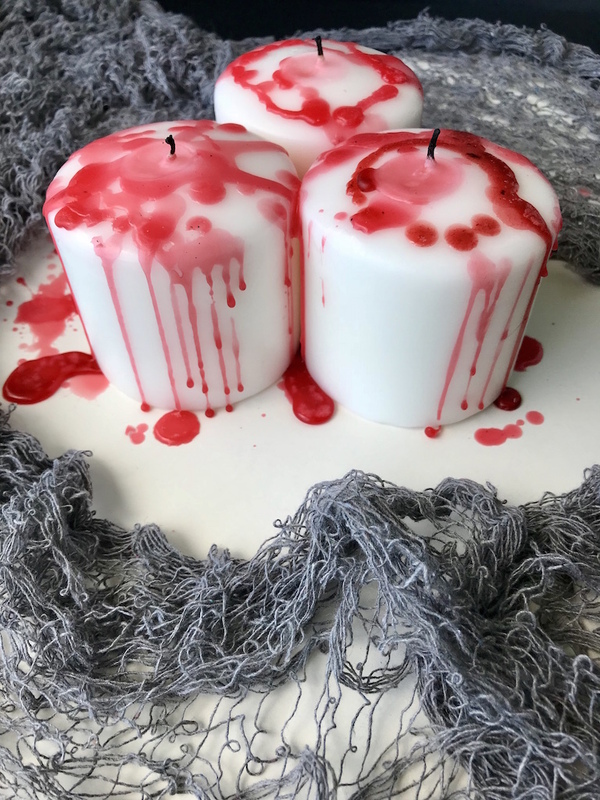 If you really want to set the mood at a Halloween party, you have to give these bleeding candles a try. Here’s how they work. Get a couple of white candles, whichever kind you prefer, and one red candle. You can grab these at any discount shop. Cover your workspace so you don’t get candle wax stuck to it. Then light the red candle and as the wax heats, drip it all over the white candles. You can get creative with this and once the white candles are lit it looks like they are bleeding. 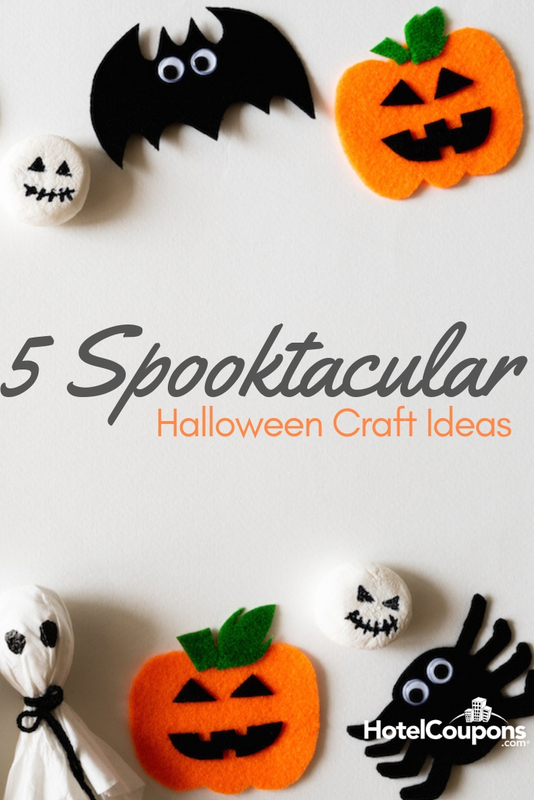 Regardless which Halloween crafts you choose, have fun when you’re making them. It makes it so much easier to get into the holiday spirit! Such a cute article and photos, thank you for sharing this!! !